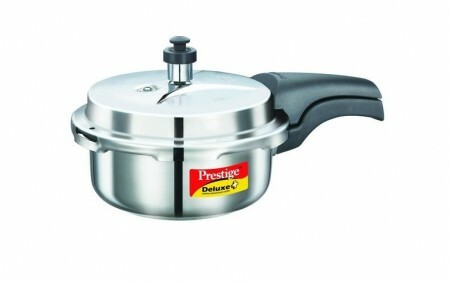 Deluxe Stainless Steel Pressure Cooker from Prestige is good for all your Indian cooking need. This stove top cooker / steamer is safe, efficient and one of the fastest way to cook any type of Indian food. It is made from premium quality stainless steel and has added safety features. Pick the size based on your family size. Available in sizes - 2 to 10 liters capacity. Great look to complement your existing kitchen appliances. 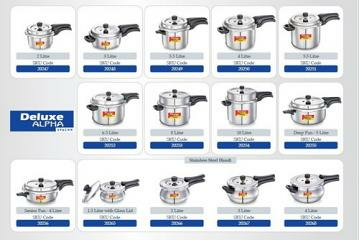 Ideal for cooking from cooking dal to cooking Rice, idli or pongal. Safety release system and Gasket rings for safer cooking. 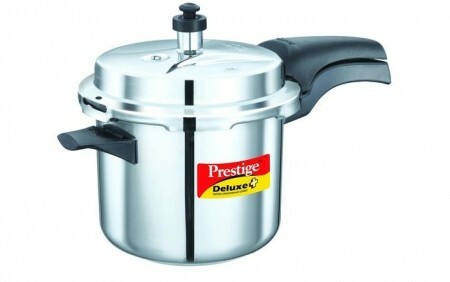 Prestige is one of the oldest and reliable company in India for making pressure cooker. This item in Cookware & Appliance category was first added to our catalog on 04-07-2016. 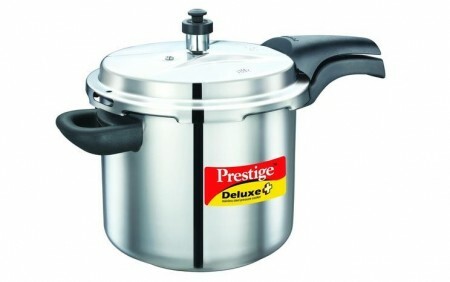 Buy Prestige Stainless Steel Pressure Cooker (Deluxe 2 - 10 Liter), sold & shipped by Gandhi Appliances where you can shop online for Indian Mixie, Wet Grinder, Pressure Cooker, Mixer Blender & Sports Store. 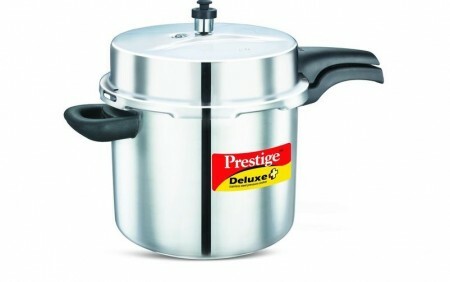 This Prestige Cooker collection has been tagged as Prestige Brand Large Ss Pressure Cooker, Restaurant Home Cooking, Safety Cookware Indian, Quick Steamer, Stovetop Ss Steamer, Usa Free Shipping Stainless Steel Pressure Cooker.